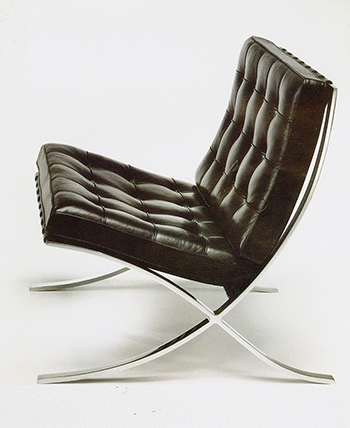 We never need an excuse to look at classics like Ludwig Mies van der Rohe’s Barcelona collection or Brno chair. But we did have the opportunity to ask Kenneth Frampton—the internationally acclaimed architect, critic, and historian—some questions about these timeless pieces, their inception and influence today. Frampton, who could well be described as architecture’s sharpest and most prolific lecturer and writer, illuminates Mies’ chairs in the following interview. KNOLL INSPIRATION: The scale of a chair allows for its structure to be expressed with a clarity that would be impossible in a building. Were there structural ideas that, in furniture, Mies could resolve without compromise? 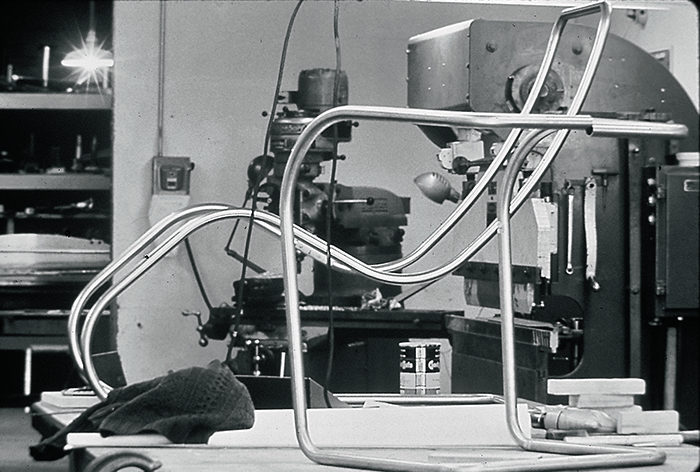 KENNETH FRAMPTON: Mies, like Marcel Breuer, made a good deal of his early reputation on the basis of his designs for a range of cantilevered chairs in chromium-plated tubular steel. Inspired by the nineteenth century standard bentwood furniture of Michel Thonet, it would be hard to imagine a simpler or purer solution to the basic proposition of a chair. From idea to icon: archival sketches, patent drawings and photograph of the Brno chair in Philip Johnson's apartment. Mies designed most of his furniture in the 1920s, a decade that was also pivotal for his development as an architect of buildings. How are the two scales of his design work related? 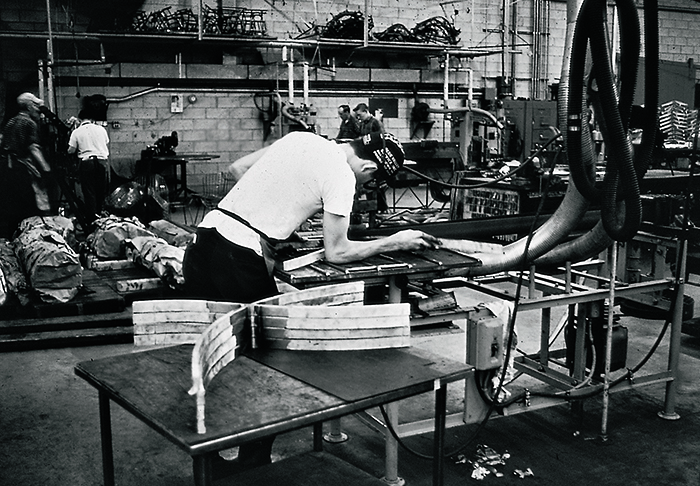 The tubular MR Series in production at a factory. 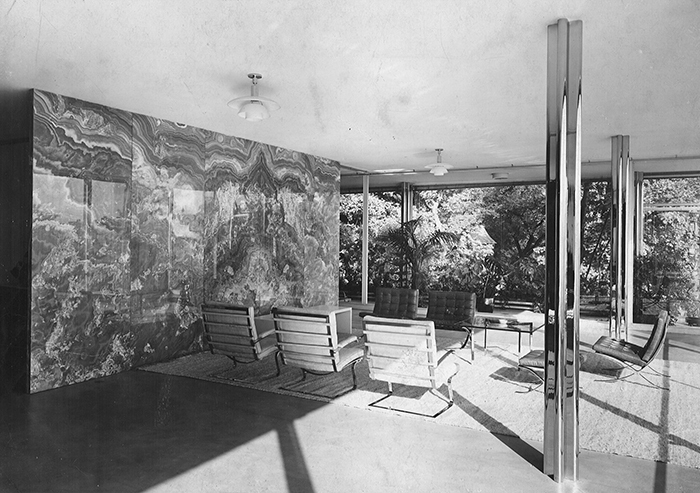 You've written before (in your Critical History of Modern Architecture) that the Barcelona chair is a key design element of Mies' canonical Barcelona Pavilion. Can you explain? 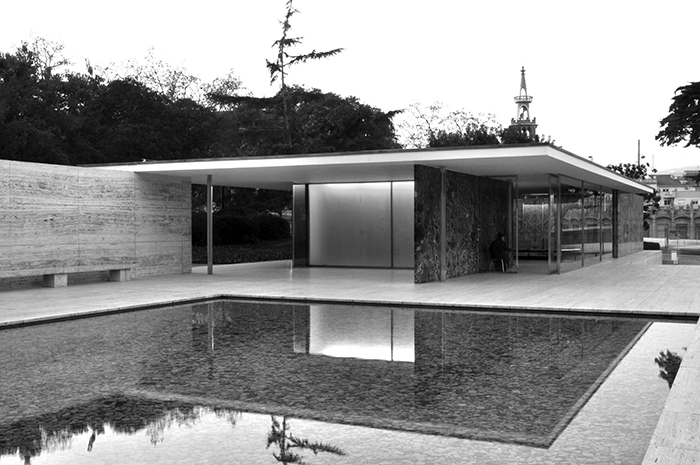 Material in the Barcelona Pavilion is simultaneously emphasized and dematerialized. Chromium-plated steel is a key material in this regard: the same material is used both for the Barcelona chair frame and for the cladding of the free-standing cruciform columns. In both instances, the overall effect is monumental. Flat bar steel sections of different thicknesses are used to cap the ends of the columns, and as the basic structural element of the frame of the Barcelona chair. The so-called ‘mirror effect’ of the central space is due to a number of factors, above all the fact that the same color tone obtains in both the floor and the ceiling; the one being travertine and the other plaster. However, the dematerialization is largely due to the highlights on the chromium-plated metal, the tinting of the glass, and the proliferation of reflections throughout. Lily Reich, the German designer, worked closely with Mies for more than a decade, during the time when Mies was designing his chairs. What was her role? 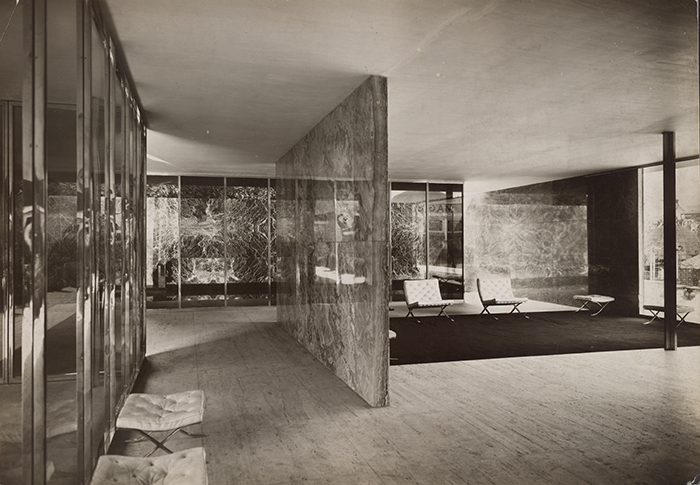 Lily Reich played a crucial role in the formation of Mies’s transcendental, technological aesthetic between 1927 and 1931. The use of raw silk and brightly colored leather upholstery—red and viridian—in the Tugendhat House. All of this was surely due to Reich’s influence. We may assume she had some effect on the refinement of the furniture as well; above all surely the Tugendhat and Brno chairs and the two versions of the chaise lounge 1931/1932 and even on the buttoned down leather couch of 1930. The Barcelona chair in production. Can you talk about the presence of both old and new in Mies’ designs? The primary link between Mies and the past could be summed up by the famous Werkbund term qualitätarbeig—‘quality work,’ a value transcending style he would have acquired while working for [the furniture designer] Bruno Paul. [Karl Friedrich] Schinkel is also a perennial influence on Mies throughout his career, beginning most explicitly with his project and full scale mock-up for Kröller-Müller house at Otterlo of 1912. Harmonizing old and new: this also is a challenge for our cities today, as they balance preservation and development. The preservation or restoration of 20th century architecture has come increasingly to the fore in recent years, with all the attendant problems of re-use and simulating material that is no longer in production. However, the last few years has seen an increasing number of exceptional restorations, including the Zonnestraal Sanatorium and the Van Nelle factory, both in the Netherlands, which was subject to two attempts at restoration before the current renovation. 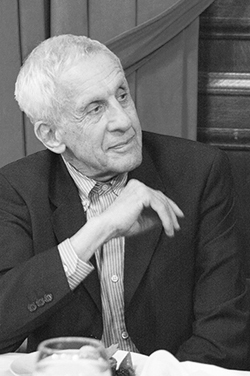 Kenneth Frampton is Ware Professor of Architecture at Columbia University’s Graduate School of Architecture, Planning and Preservation. He sits on the jury of theWorld Monuments Fund/Knoll Modernism Prize. The 2014 Prize will be announced this fall. The Architecture & Design Study Center, The Museum of Modern Art, New York: Mies van der Rohe's sketches, image of Brno chair in Philip Johnson's apartment, and photographs of the Barcelona Pavilion. All other images are courtesy of the Knoll Archive.